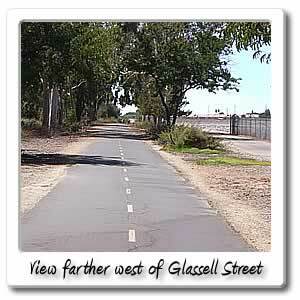 Welcome to Glassell Street on the Santa Ana River bicycle trail. 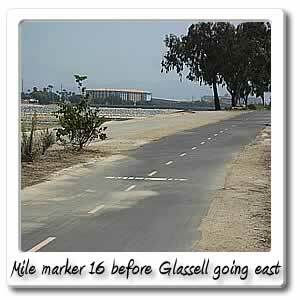 After 16.5 miles and 1 hour and 23 minutes on the Santa Ana River Trail, will be half way between the 16 and 17 mile markers when you get to the Glassell Street entry point on the Santa Ana River Trail. 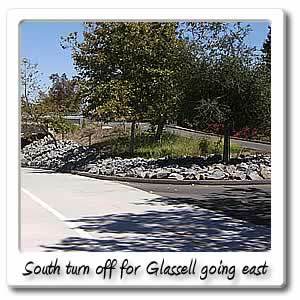 Also you will be 1 hour and 3 minutes and about 12.3 from the end of the Orange County section of the Santa Ana River Trail at Green River Road. 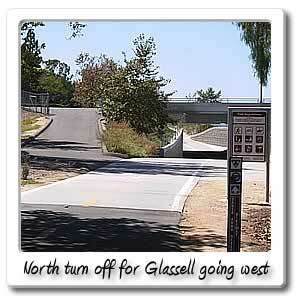 The Glassell Street exit is after the Santa Ana River Trail straightens out and starts heading east from going northeast all the way from the beach. 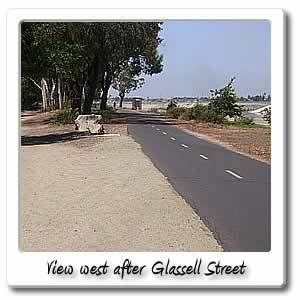 If heading west on the Santa Ana River Trail, there is a restoom and then benches .5 miles west/ south west on the way to the Lincoln Avenue entry point on the Santa Ana River Trail. If heading south after getting off the Santa Ana River Trail, right at Riverdale Avenue after 20 seconds and 390 feet after getting off the Santa Ana River Trail, you will find a donut shop, a couple of food places, then across the street from that is a 7-11 in the City of Orange. 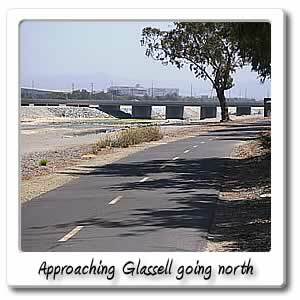 If heading north on Glassell Street through the City of Anaheim after getting off the Santa Ana River Trail, for 4 minutes and .6 miles, you will find Carl's Jr., just after passing over the top of the 91 freeway. There's a few gas station on the other corners, with food marts in them. 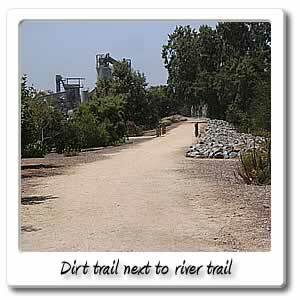 If you go .6 miles for 3 minutes north on the Santa Ana River Trail you will find the Orange-Olive Road entry point just after the 17 mile marker on the Santa Ana River Trail.